And, folks, the Smooches have iron trap memories about this kind of thing. With our recent frigid temperatures, it is now clearly winter (love their reasoning), and time for me to make good on my promise. Last weekend we had a little free time. 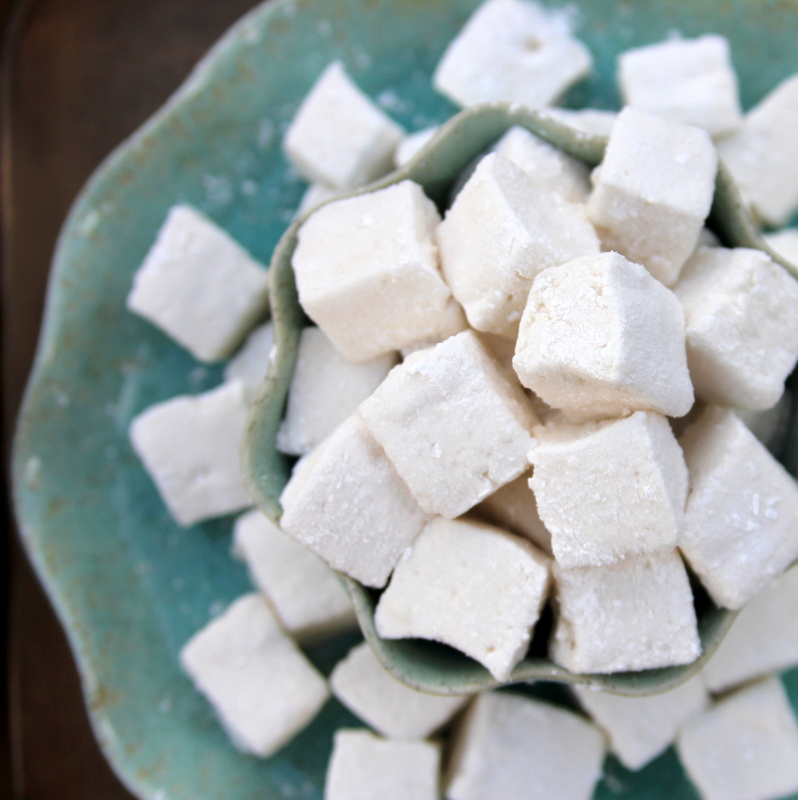 And by free time, I mean Marshmallow Making Time. 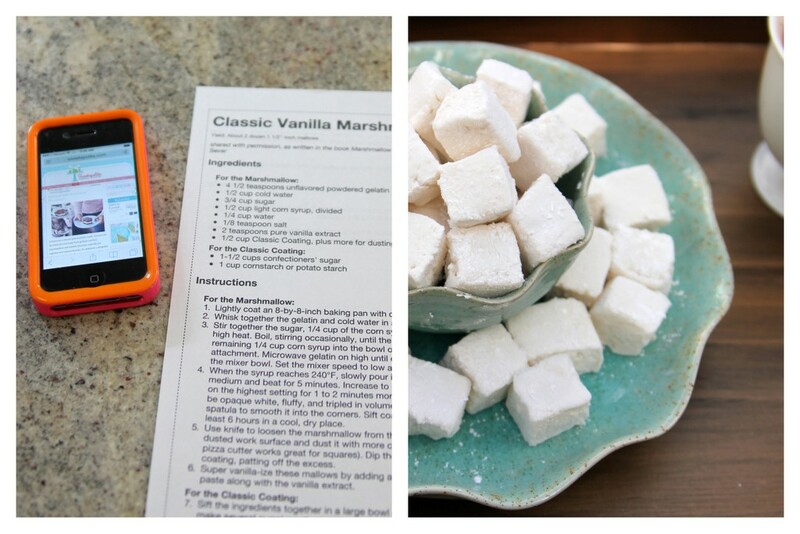 I found a homemade marshmallow recipe on one of my favorite blogs, printed out the recipe from my phone (thank you Canon PIXMA- you are changing my life in all of your wireless-ness), and we spent the next hour stirring and checking and coating. 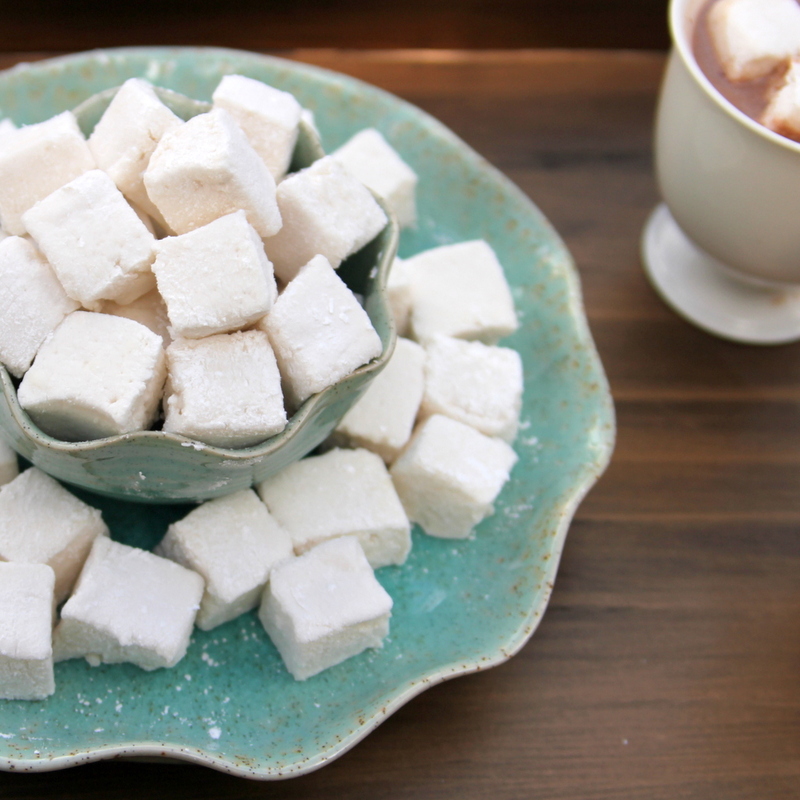 Six lo-ong hours later (did you know marshmallows took so long to set up? 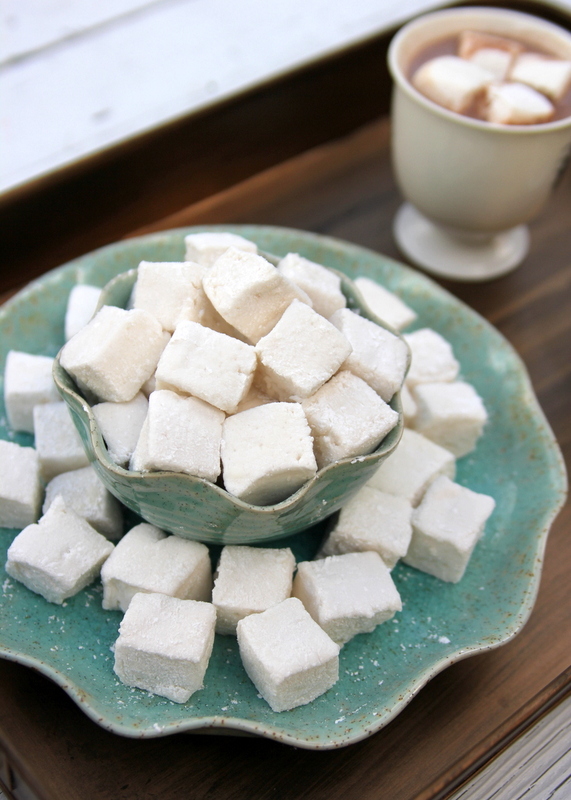 ), our batch of homemade marshmallows was finished. 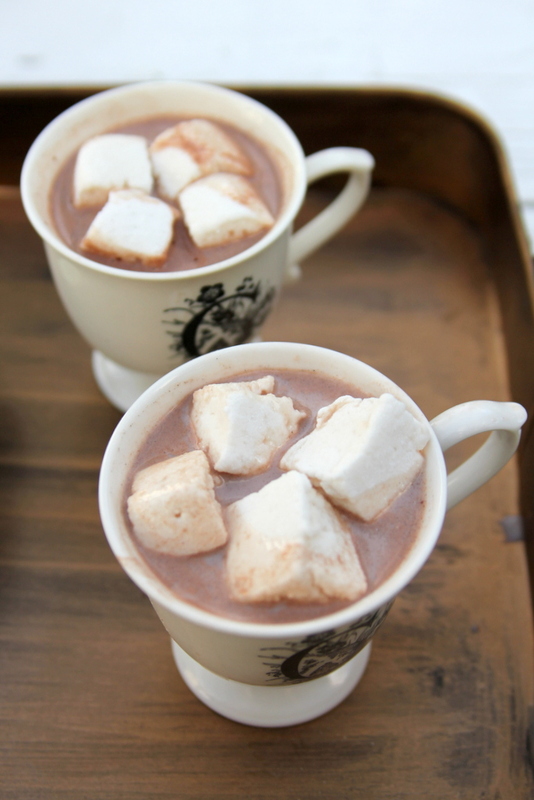 Yummiest hot cocoa ever- done. 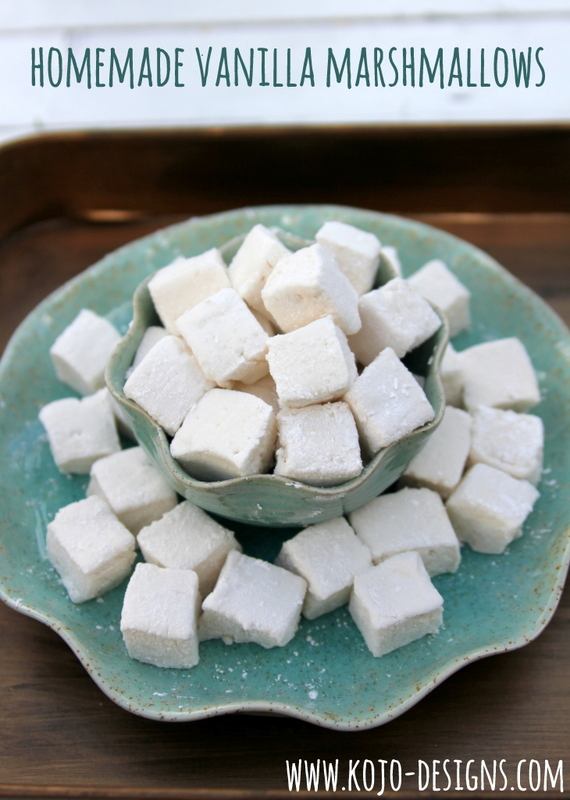 We’ll definitely be making homemade vanilla marshmallows again soon. Did I mention that I’m loving how my new Canon PIXMA MG7120 makes my life easier?